Last year I took a short break from blogging to focus on my growing family and new home renovations. 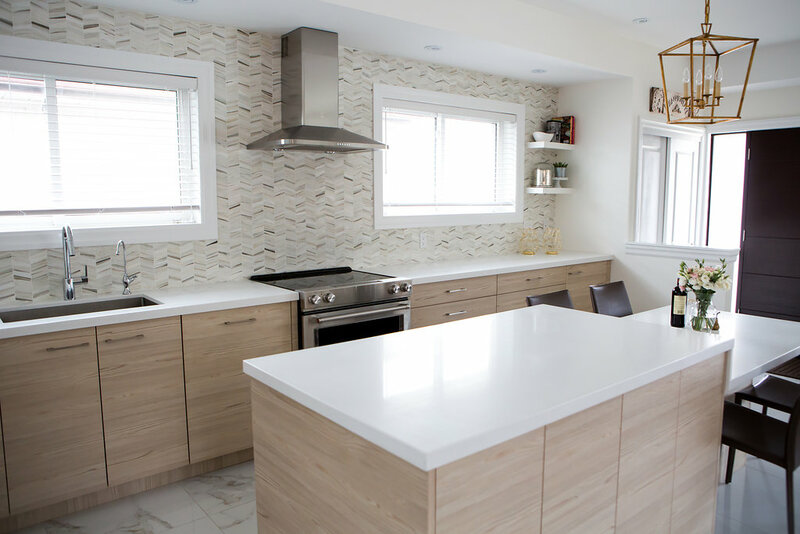 Anyone who has undergone home renovations, especially complete overhauls, understands the amount of time and focus it takes to get things right. 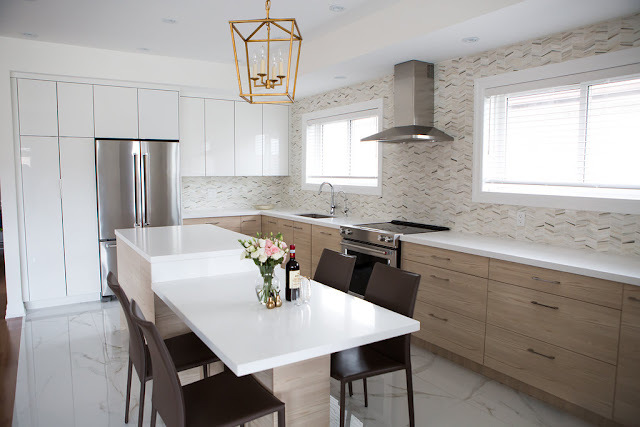 I am happy to share that all went well, and with the help of kitchen and bath designer, Viktoriya Dacosta, I was able to make my dream kitchen come true! If you can't already tell from my blog and social media feeds, I'm slightly obsessed with European culture. Through the influence of Italian and other European cultures I was exposed to growing up, I have always been fascinated by the lifestyle of those "across the pond." Furthermore, their design aesthetic has always appealed to me, and so, it only seems fitting that I was naturally drawn to design a kitchen with european elements. Although I had a design idea in mind for my new kitchen, I still wanted to consult with an expert on the layout and functionality of this future space. That's when I contacted Viktoriya Dacosta, Accredited Kitchen and Bathroom Designer. 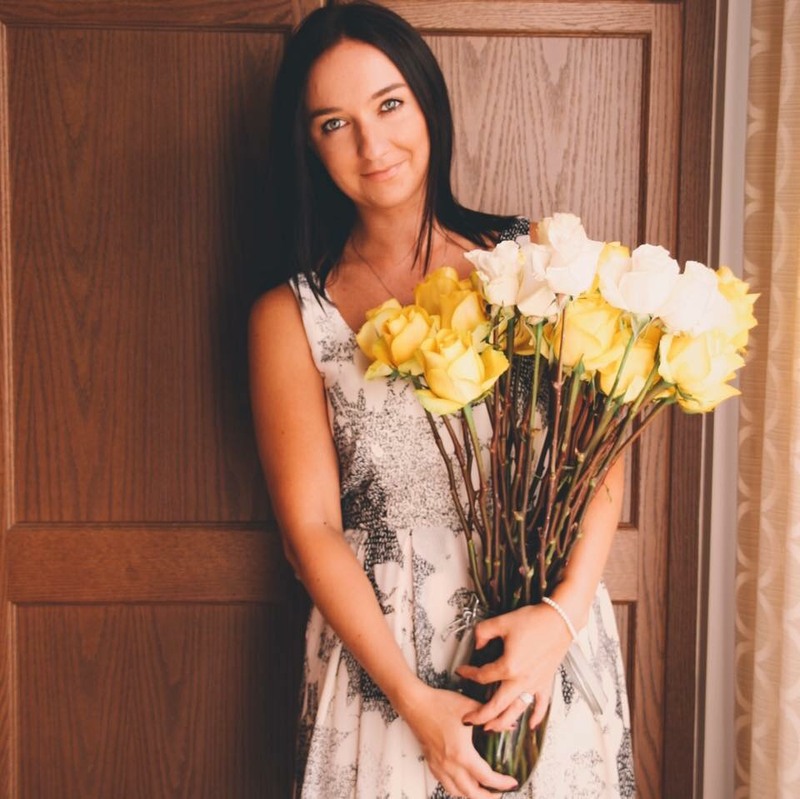 Viktoriya was excellent to work with; not only did she offer smart solutions when it came to design functions such as layout, storage and lighting, but she also quickly understood my style and therefore was able to offer suggestions that complimented the design elements I had chosen. 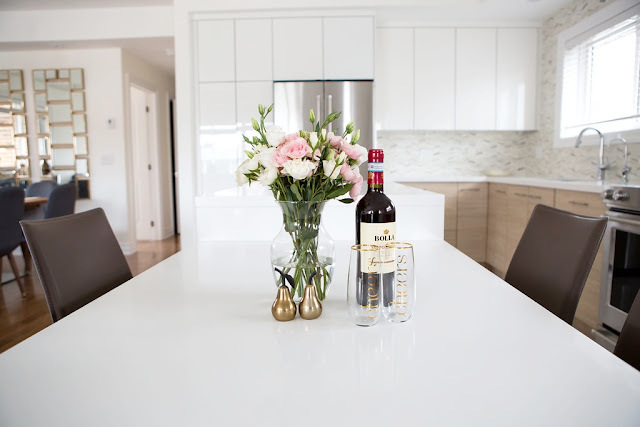 After explaining to Viktoriya the layout I had in mind, and showing her the various tiles, countertops and cabinets I preferred, she confirmed that my kitchen definitely had a "european vibe." In our chat below, she elaborates on this comment, and further explains European kitchen design overall and how it differs from that in North America. VLDolce: What led you to a career in design? VD: I have always been artistic. Ever since I was little I was enrolled in art classes, and even studied with a well known portrait artist in Toronto. So from a young age, I learned the principals and elements of design. Then in high school, I majored in art, and took some technology classes as well. My "ah-ha" moment came when I had to complete an assignment where I created a model of a dream home. I loved the tech side of it but also the fun, colourful side of the design as well. That's when I decided, I want to do this! VLDolce: What would you consider the biggest difference between European and American kitchen design? VD: The lifestyle is actually the biggest difference, which then contributes to the kitchen designs. Europeans live day to day; they go to the market on the way home and cook and eat what they bought that same day. Therefore, everything is compact. North America on the other hand, focuses on big and chunky. Its the "Costco lifestyle" - stock up the fridge and freezer. Therefore, appliances in North America are wider and deeper. Also, in Europe, the kitchen is usually a part of the living area. Therefore, they usually panel appliances to hide them when they are not in use. Some of these European design elements are now coming to North America; I would say within the last 5-7 years, you can see a desire to catch up to the European style. VLDolce: When you saw the style and finishings I had chosen for my kitchen, you commented that my kitchen had a "european vibe." Can you elaborate on what you meant by that? VD: Your kitchen has a very streamlined design. For example, even though the fridge is of North American size, we chose to fit a counter depth model, which causes it to flow with the counter and be hidden, which highlights the European style. In Europe they use durable materials in their kitchen that imitate the real thing (ie. quartz countertop instead of granite or marble), as they do not renovate as often. Your selections of quartz and laminate materials also reflect that European design choice. 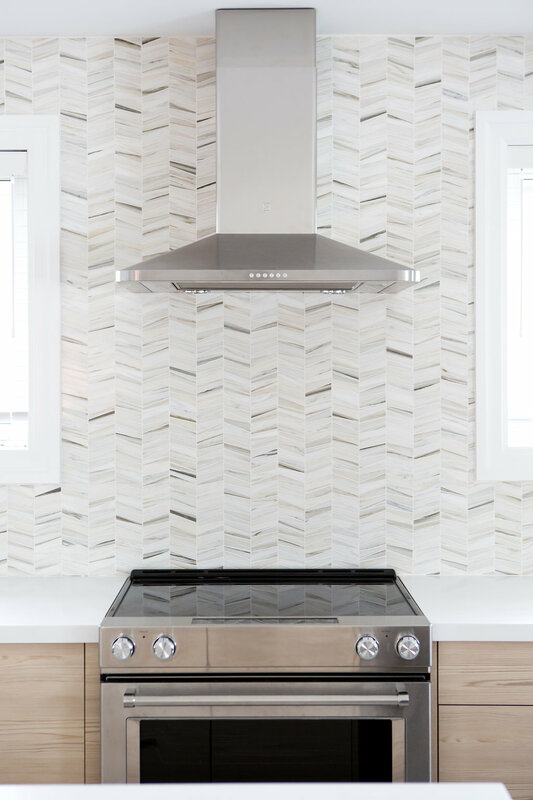 Furthermore, your kitchen plays with matte finishes, glossy finishes and textures. 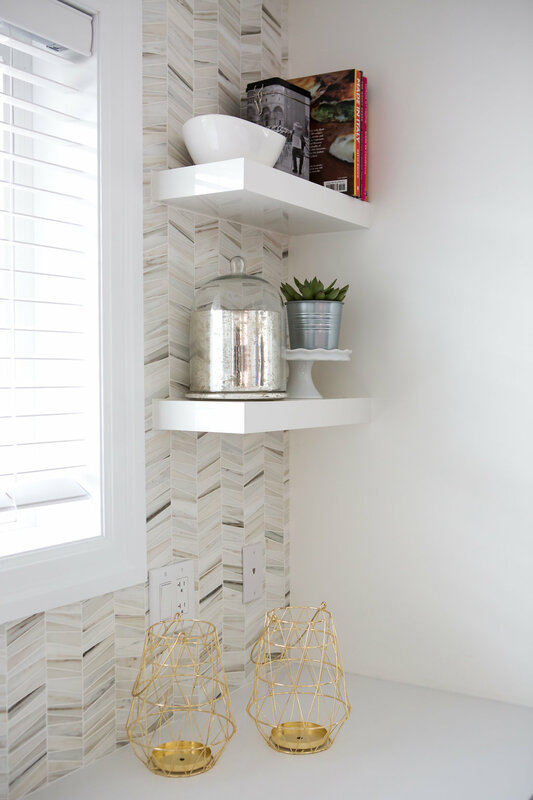 For example, you went with lacquer upper cabinets, and then opted for laminate textured bases. Also, you included a hidden appliance, as you panelled your dishwasher. Since your kitchen and living area are open concept, it is nice that the cleaning area is hidden from view. You only see the sink, but nothing else. The panelled appliance creates a continuous look with the cabinetry, which is very common in European design. VLDolce: When I was choosing between tiles, I found that most were made in Italy. The designs were absolutely gorgeous, and I just couldn't resist the stunning marble! Is it safe to say Italy is the top choice for tiles? What would be comparable? VD: Yes, Italy has beautiful stone. Italy is one of the top three driving forces in interior design (Paris and Spain are the others). 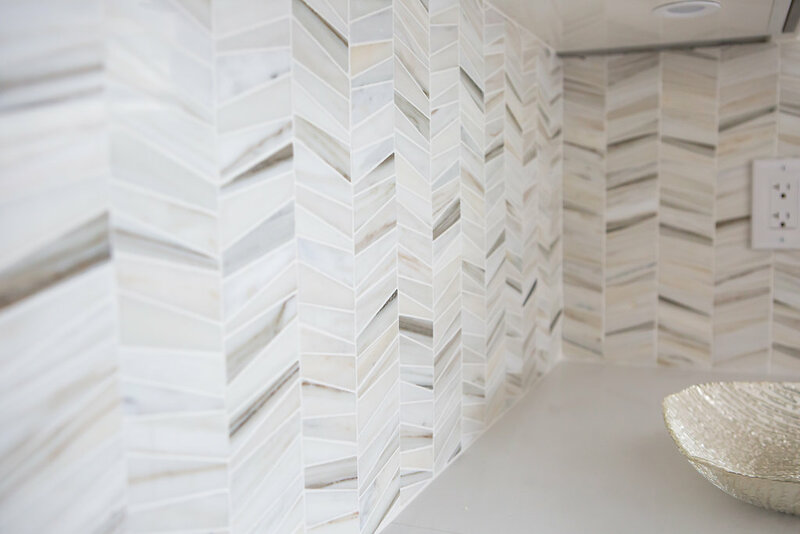 Tile suppliers choose their products from Italy whether they are real stone or not, because they are one of the leaders in the field. VLDolce: What are some of the hottest trends coming out of Europe right now, and what can we expect for the future? VD: The newest thing coming out of Europe right now is a porcelain countertop. They basically cut one huge slab for the counter. It's very different, very sleek in design. As for the future, expect a lot of integration. For example, cook tops that are integrated right into your countertop. You don't see them when they are not on, and therefore can use the countertop normally when the cooktop is not in use. Also, there will be a lot more integration with technology. For example, automatic hood fans that sense when to turn on. As well, fridges with bluetooth so that way you can make your shopping list and connect it to your phone. I would say that North America is about 10 years behind European design. A big thanks to Viktoriya for providing Viva la Dolce readers with some great insight into European kitchen design! For more design info, you can reach Viktoriya at viktoriya.dacosta@gmail.com. As for these beautiful photos, they were taken by Toronto-based photographer Jennifer at Jennifer Images.